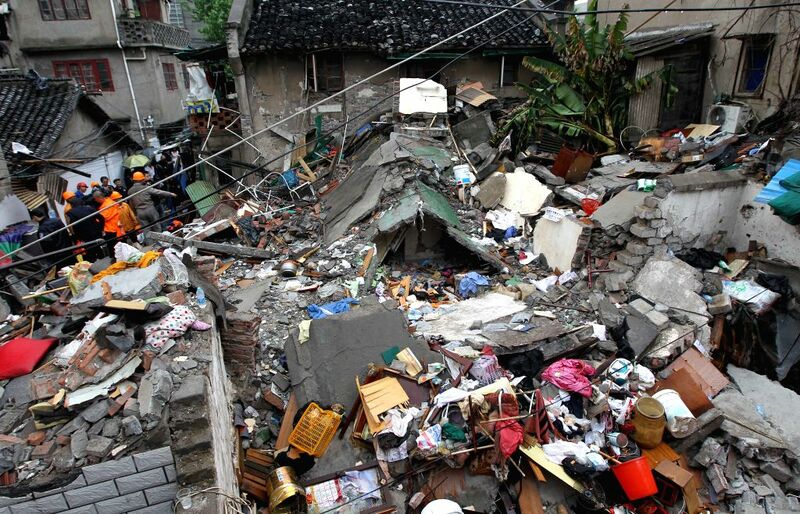 SHANGHAI, May 4, 2014 - Photo taken on May 4, 2014 shows the accident site of a collapsed building in the Hongkou District of Shanghai, east China. 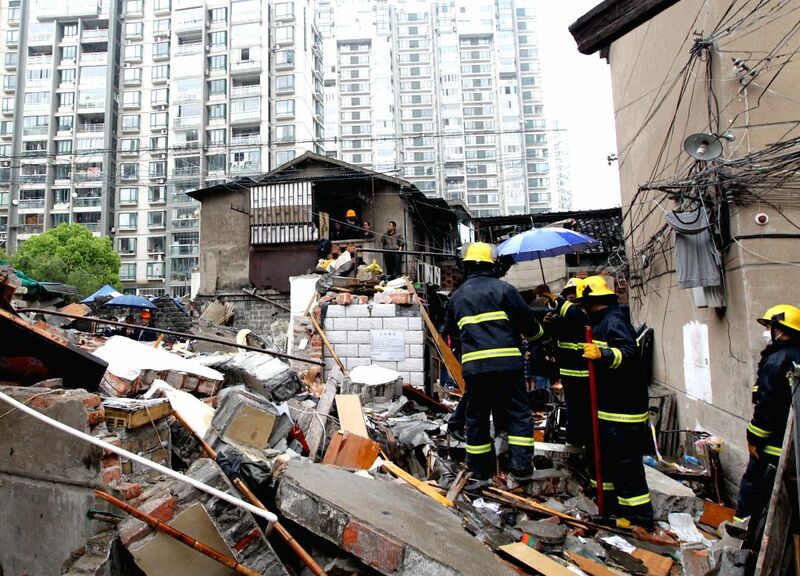 Two people have been confirmed dead and four others were injured after an old residential building collapsed in Shanghai on early Sunday morning, according to rescuers. Rescuers work at the accident site of a collapsed building in the Hongkou District of Shanghai, east China, May 4, 2014. Two people have been confirmed dead and three others were injured after an old residential building collapsed in Shanghai on early Sunday morning, said local authorities.